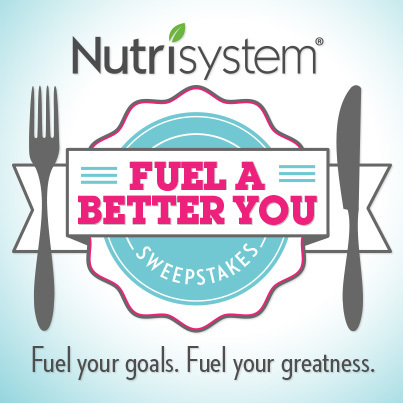 Being Frugal and Making It Work: #FuelABetterYou with Nutrisystem Sweepstakes - Fuel Your Goals. Fuel Your Greatness! While on the plan I learned that portion control is crucial to your success and that I could do anything that I put my mind to. I've been managing my weight on my own for the past six months and am happy to say that I'm currently down 60 pounds and 48.5 inches! Be sure to visit the sweepstakes tab on the Nutrisystem Facebook Page, fill out the entry form and press the enter button to submit your entry for your chance to win. Trust me, you'll be glad you did! Fuel your goals. Fuel your greatness! I have never tried Nutrasystem. It seems to work. I have seen so many people have great success with NutriSystem. This sounds like a great contest! Congratulations on your weight loss! Certainly Nutrisystem is a great way to help you achieve your weight-loss goals. I like the idea that you get ready to eat meals sent to you. It does take the guess work out of what to eat and how much but my concern is how does one learn to do it on their own instead of depending on a service? This sounds like a great alternative for people who have trouble with portion control or just don't have the time, knowledge, or energy to shop for and prepare healthy meals every day. My Hubs is on a diet right now. I need to talk to him about Nutrisystem and see what he thinks. We are going to be monititoring his progress on my blog. Congratulations on that weight loss!! That will make a great kickstart for someone if they win! Awesome! Ooh, I need to enter this! Thanx for the heads up. WoW! You did so great with the program!! Congrats on your weight loss! I am definitely entering! Thanks! Great job on the weight loss. I don't think I could stay on a diet like this one because I like to cook too much. Congrats on your weight loss and maintaining it! I am so impressed by your weight loss success! Wow! That is impressive! Great job on the weight loss and more importantly keeping it off. I have to agree.. portion control really is key. There are going to be five VERY happy people! Yay for your weight loss!!!! You have really done an amazing job at this whole weight loss thing. You have done such an awesome job! What great prizes!